Las Vegas - Patriot Gold Corp. ("Patriot Gold" or the "Company") (OTC:PGOL) today announced that Robert Kopple and Eric Muschinski have been appointed as Special Advisors to the Board of Directors of the Company. "I am delighted to welcome Bob and Eric on to the Patriot team" remarked Robert Coale, President of the Company , "Their involvement provides access to new sources of capital, and strategically positions Patriot as we move forward to grow the Company and build shareholder value." "Bob's remarkable depth of business and legal experience will be a great asset to the Board. He is one of the most astute investors and capable businessmen I have known, and I couldn't be happier that he's agreed to assist Patriot in this way." "Eric's exceptional understanding of capital markets is of particular value to us, especially in light of the strong corporate advancements Patriot is now making. Eric has developed a solid reputation in the resource community as someone who recognizes value early, and we consider Eric's interest in Patriot as a very positive reflection of the merits of the Company and its future prospects." Mr. Kopple and Mr. Muschinski will each be acting in an advisory role to the Company as the Board identifies new opportunities and extracts value from existing ones. Robert C. Kopple is an experienced investor, businessman, and lawyer. He is a senior partner in a law firm based in Los Angeles, California and he manages interests in real estate and operating companies. He has provided equity and debt financing for a number of both public and private businesses and serves on the board of directors of several corporations. Eric Muschinski is President and CEO of Phenom Ventures and Investor Media Inc. He is a seasoned entrepreneur, investor, and editor of the Gold Investment Letter. Eric has worked in and around capital markets in various executive and advisory roles over the past 20 years. He has been directly responsible for raising over $250 million in equity and debt financing for public and private companies and partnerships. Patriot Gold Corp. is a precious metals exploration and production company, with three gold projects in the Southwest US, the most advanced being its Moss Mine project in northern Arizona which is now in pilot production. 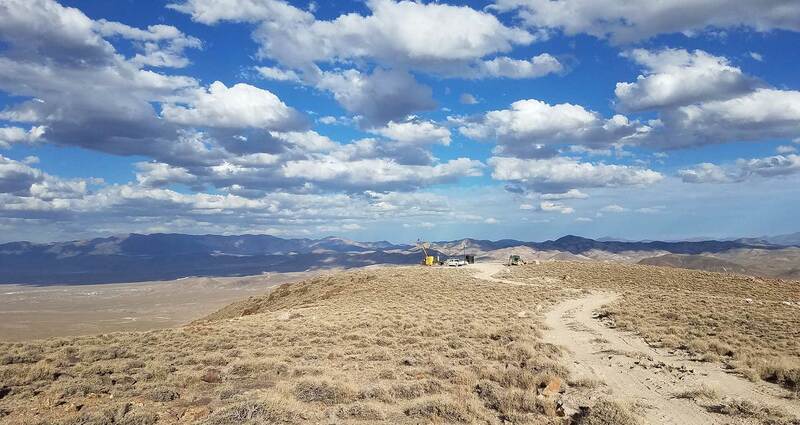 Its Bruner gold project in Nevada is still being explored but has returned exceptional drill results to date. Its Vernal gold project in Nevada has not yet been drilled.